Distributed denial-of-service (DDoS) attacks are increasingly complex, and they frequently employ multiple attack types and strategies. Industry reports continue to illustrate that no one organization is safe. The DDoS attacks that were once solely focused on gaming and retail organizations have spread to target a wide variety of organizations of all sizes and industries. 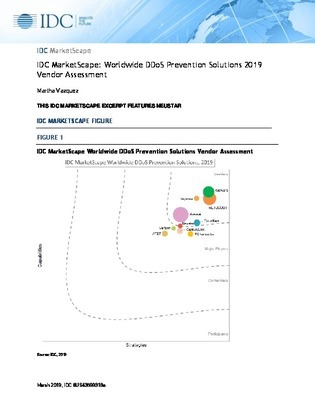 In this IDC MarketScape report, IDC compared 10 organizations that offer DDoS protection products and services. Read on to see which one is right for your organization today.